Scientists are already debating whether the findings could overturn 20 years of conventional thought. 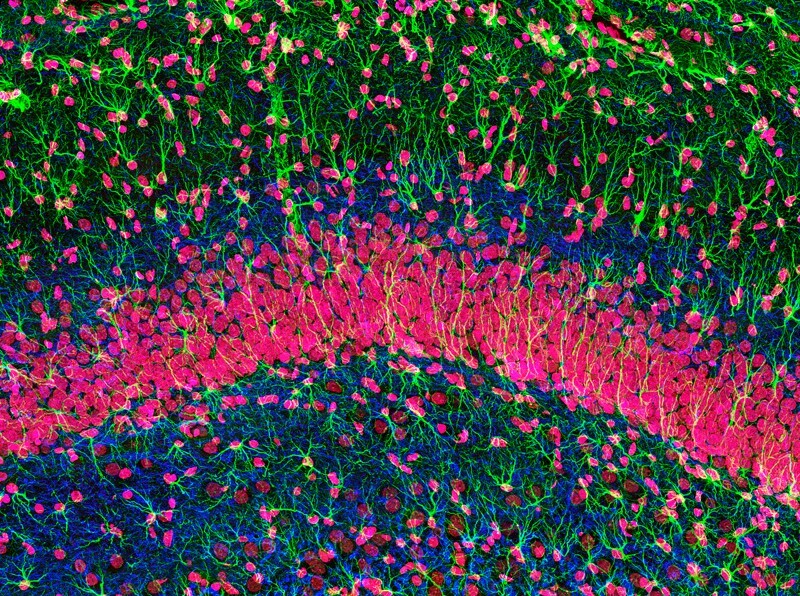 A few years ago, the group looked at a well-preserved adult brain sample and spotted a few young neurons in several regions, but none in the hippocampus. So they decided to analyse hippocampus samples from dozens of donors, ranging from fetuses to people in their 60s and 70s. They concluded that the number of new hippocampal neurons starts to dwindle after birth and drops to near zero in adulthood. The results1, published in Nature on 7 March, are already raising controversy. However, when a team of neuroscientists led by Arturo Alvarez-Buylla at the University of California, San Francisco, looked at thin hippocampus sections from 37 donors of different ages who had died in various ways, they spotted young neurons only in fetuses and children. The oldest sample in which the researchers still saw a few immature nerve cells belonged to a 13-year-old. “In the 18-year-old’s sample, we just don’﻿t find any,” Alvarez-Buylla says. Some neuroscientists also caution that the physical and mental states of those who donated their brain for the analysis is important. “How much exercise did they have? Were they bedridden? Were they depressed because of the disease they had?” asks Fred Gage, a neuroscientist at the Salk Institute for Biological Studies in La Jolla, California. This is relevant, he says, because factors such as exercise, stress and disease influence the number of new hippocampal neurons generated3. Despite these concerns, the study is likely to have some immediate effects on the field, says Sandrine Thuret, a neuroscientist at King’s College London. It could encourage others in the field to look for young neurons in the adult hippocampus, and push researchers to develop better markers for tracking the formation of neurons in living organisms, she says. At the very least, Thuret adds, the study’s conclusions are set to stir up debate. See the related News & Views article, 'Questioning human neurogenesis'. Sorrells, S. F. et al. Nature http://dx.doi.org/10.1038/nature25975 (2018). Kempermann, G. Cold Spring Harb. Perspect. Biol. 7, a018929 (2015). Toda, T. & Gage, F. H. Cell Tissue Res. http://dx.doi.org/10.1007/s00441-017-2735-4 (2017).